This is the summary of consumer reviews for Presto EverSharpÂ® electric knife sharpener 08800. The BoolPool rating for this product is Excellent, with 4.50 stars, and the price range is $24.97-$33.76. 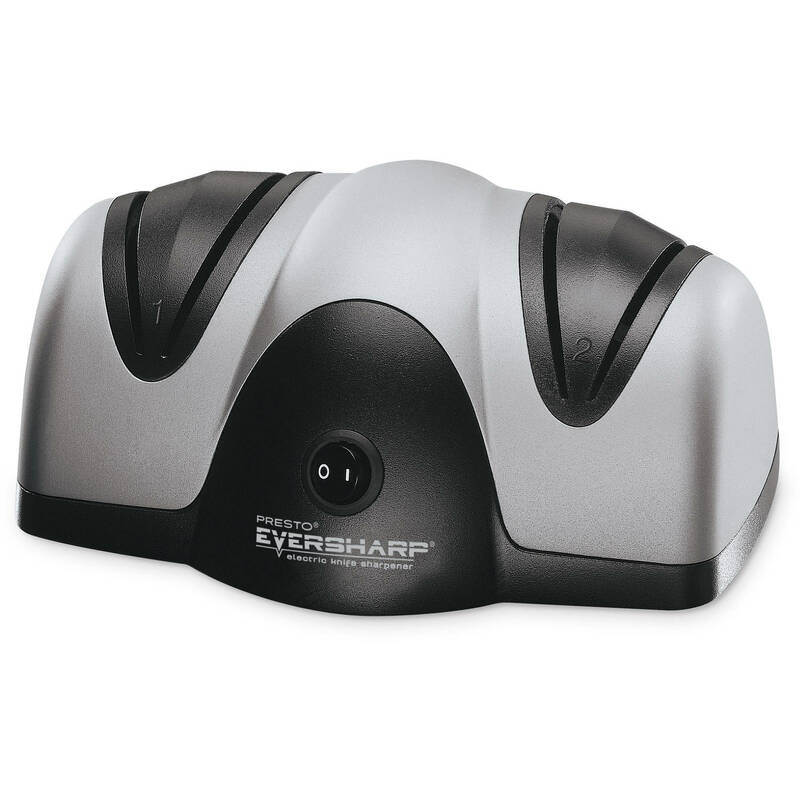 Presto EverSharp electric knife sharpener will take your sharpening tasks out of the stone age and into modern times. Many reviewers were skeptical at first. Some of them felt like they were traditionalists and wanted to stick to their sharpening stones. But a few swipes through Presto EverSharp's electric knife, and they were converted. Happy reviews were pleased at how easy it was to use, and it made quick work of what is usually a delicate process. Presto EverSharp does more than simply make your knife sharper, it properly angles the blade making it sharper for longer. Presto also made this electric sharpener with versatility in mind. 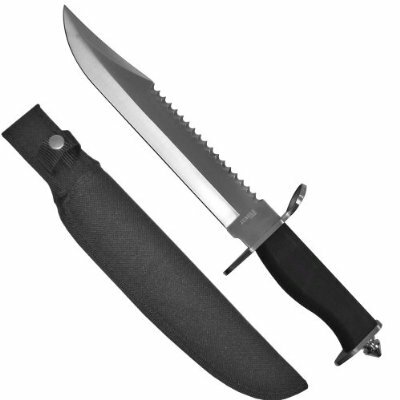 Most reviewers used this for their dull kitchen knives, but other reviewers were satisfied when trying the sharpener on their hunting knives, fillet knives, and even their ceramic knives. As long as it is a knife, and it is not serrated, the Presto EverSharp will be able to sharpen it. While this electric sharpener may be easy to use, there is a bit of a learning curve. Reviewers advised to apply only a small amount of pressure when running your knives through. Apparently the motor is not powerful enough to withstand the pressure of your full weight. It is also evident that not all reviewers were pleased with Presto EverSharp. There seemed to be an equal amount of people pleased with this electric knife sharpener as there were people displeased. While it cannot definitely be said why some reviewers were unhappy, the learning curve and bias to traditional sharpening stones likely played a factor. Puts the right angle on the blade every time. If you follow directions and don't put too much pressure on the blade while pulling it through slots, it'll put a nice edge on your blade. Test it lightly in right wheel and see if the original edge is at the same angle after a light pass. I prefer to hone my blades on ceramic rods even after the 2nd stage, since the edge is still in need of a little polishing. The real trick is to learn the downward pressure and the speed you pull it through. I've been a Master Mechanic and Hunter for 38 years. At first I was a little disappointed. This one is easy, fast, and does an excellent job. Easy to use. Does a great job, and stores easily in one of my kitchen drawers. It's easy to use, portable, and a great investment. It was so reasonable and easy to use, and I can't stand dull knives. My decision to purchase this product was based on the excellent reviews. I'm a satisfied customer. We are very satisfied with quality and results! I use this one at my summer home. Well, it didn't work well. My simple sharpening stone does a better sharpening job with little hassle and little price. You still use a sharpening steel to touch-up the edge between sharpenings. This unit sharpens knifes fairly well. The knives I tried to < b> didn't get sharpened so I returned it. With patience you get a well sharpened knife. The sharpening wheels are both course wheels. It runs quietly and sharpens my knives very well. Cheap construction motor will slow down when adding any pressure when sharpening. I've sharpened all my knives to their original newness. It does work and works great. Usually these little sharpeners don't work at all, but thank goodness this model does. Works better than higher priced ones. Works well. Only downside is that you can't sharpen scissors with it. First three knife slots work fine. Worked great for three months. It worked quite well, and it met our expectations. I had my doubts about using a knife sharpener, but this Presto really works well! It worked well and it sharpened my knife; however, I returned it because my husband is used to the stones he used when he worked in a fish market. I'M A COOK AND WAS LOOKING FOR A NICE SHARPENER FOR MY HOME KNIVES AND WORK. THEN I SAW THIS ONE, AND I'M VERY PLEASED. WORKS SO GREAT, MY CO-WORKERS WANTS ONE TOO. We used this a few times and it works every time. 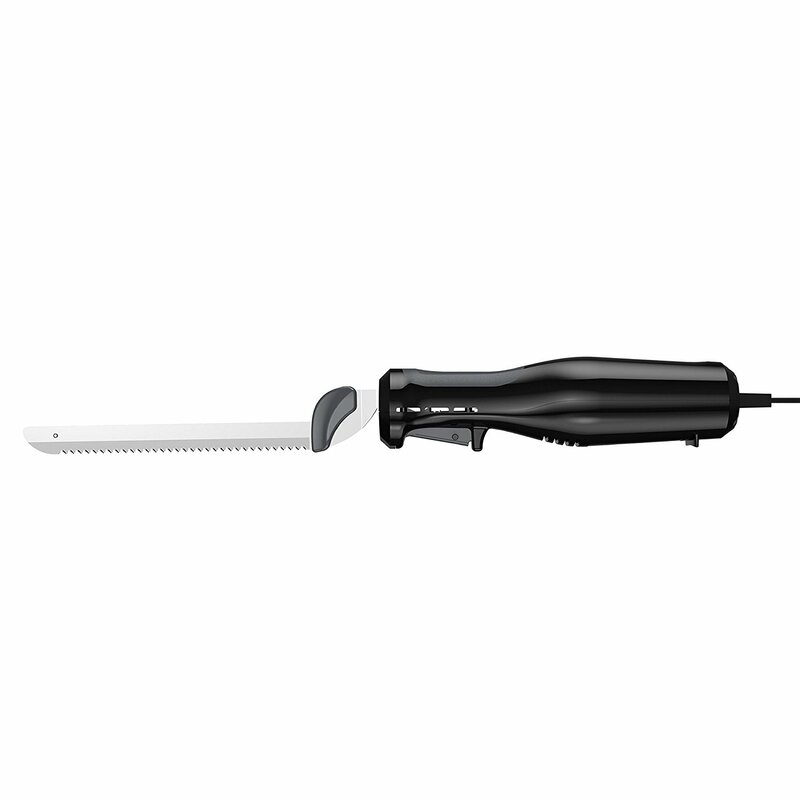 It's perfect for daily kitchen knives and fillet knives for fishing. Great little sharpener. Has my knives cutting better than new. It says in the directions that you can also sharpen all sizes of hunting knives. It's good for pocket knives. Did a good job on my knives. At least for me, so i wish i hadn't had to buy it for those knives with a life time warrenty. But now I do, and it has sharpened all the knives really good. The Presto Professional Eversharp electric sharpner did a great job on our kitchen knives. Would highly recommend to anyone who's been considering throwing old dull knives away. I never thought of buying a knife sharpener, so I just kept buying new knives. Not only did it sharpen all my knives within minutes, but they were sharper than when I purchased them years ago. Brought our old knives back to life. Sharpen all our knives to a fine cutting blade. Both cheap and expensive knives were sharpened perfectly. This item worked great to sharpen all our knives (Non-serrated). I got two favorite knives sharpened in less than 2 minutes. Many were serrated (including the so called permanently sharpened "Ginsu" knives...ha!). 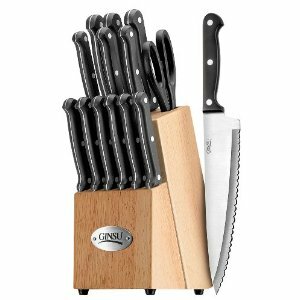 My knives were really dull, and I don't have the coordination to use one of those stick sharpeners that come with the set of knives. I was able to sharpen my knives, so that they even cut a tomato with ease. My wife had all of our knives sharpened before I got home. This sharpens the knives just fine without a lot of effort on my part. This really sharpens knives well. However, to my amazement, it sharpened every knife to a razor sharp edge. I sharpened all my kitchen knives in 15 or so minutes with no problem. Got the sharpener today, and all my knives are razor sharp now. Sharpen my 5 kitchen knivess 6X. Did it as directions said to. They're still NOT sharp??? My knives wouldn't get this sharp with it. Well, my knives that couldn't cut though warm butter are now super sharp. THE PRODUCT WORKS GREAT--JUST DON'T PUT PRESSURE ON THE KNIFE WHEN SHARPENING THE KNIFE. Knives are sharp with a clean edge. All my kitchen knives are very sharp! This sharpener is everything as advertised. Works well sharpening very dull knives and keeps them sharp. 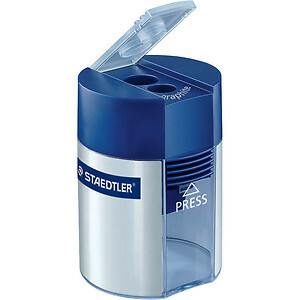 If you're looking for a good sharpener, you should buy this one! Simple instructions, and the knives are sharp once completed. Not exactly what I was hoping for but not bad....doesn't seem to sharpen duller knives like I expected, however, will keep a sharp knife sharp. They do an excellent job of keeping all my knives clean and sharp at the fish market. Put a sharp edge on the knives and took out the little uneven edges they had. Thought I had sharp knives until I ran them through this little gizmo. We had some really dull kitchen knives (Butter knife sharpness) that took 20+ passes on the course stone to get them in shape. Light, smooth, easy strokes will deliver a nice sharp edge.